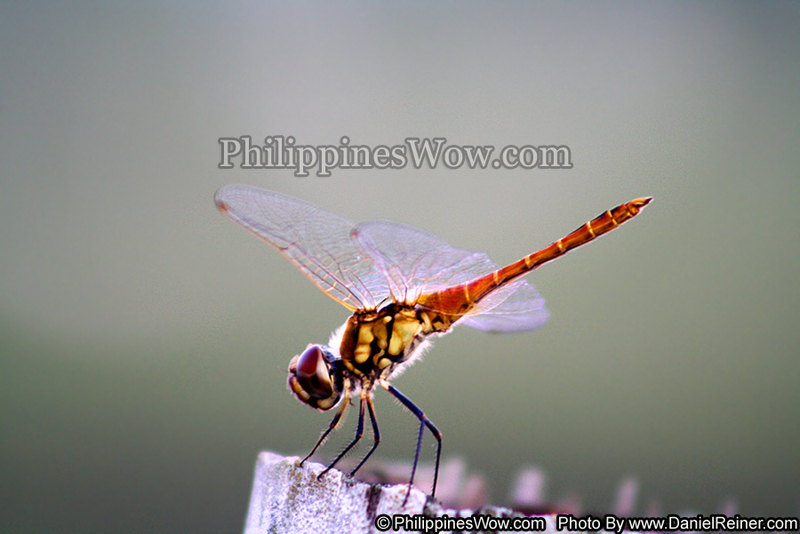 This is a close up image of a Philippine Dragonfly. The Dragonfly in the Philippines seem to be larger than most others I have seen. These are welcomed insects because they eat mosquitos and I suspect their life span is longer because the weather is warm all year long. There are over 40 species of dragonflies in the Philippine and this one seems to resemble the Pacific Spike Tail dragonfly.